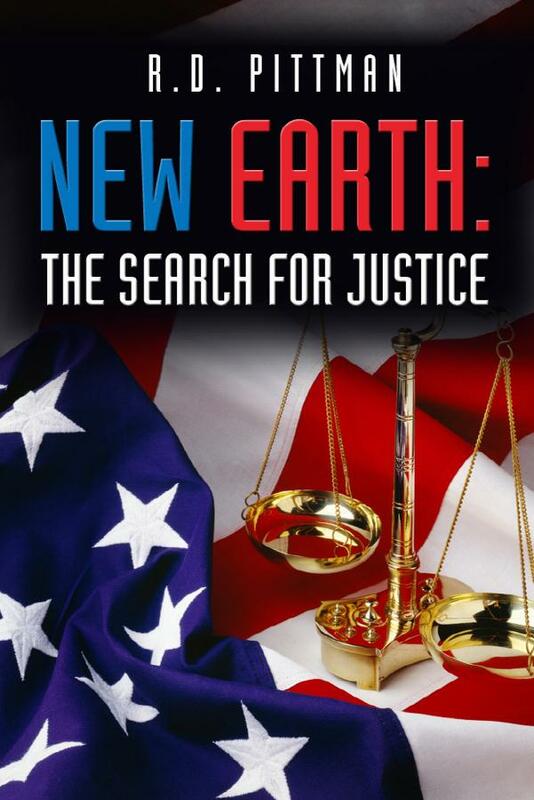 This week's giveaway is the NEW EARTH trilogy by R.D. Pittman: PROJECT O.N.E., THE SEARCH FOR JUSTICE and THE SEDNA/KERN INCIDENT. 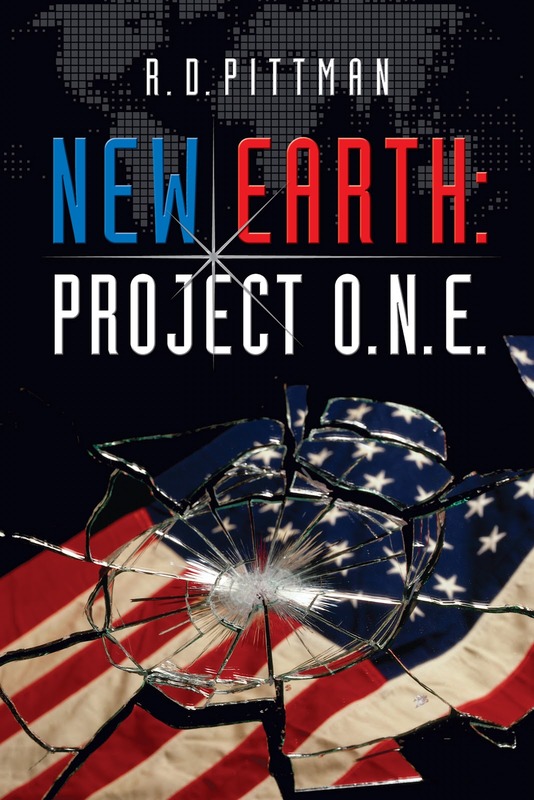 The New Earth Trilogy is a story about how a civilization prepares for a cataclysmic event. The protagonist, Alex Hanken, is a reluctant hero given enormous power by the U.S. Government to initiate a grand survival strategy. At the conclusion of Project O.N.E. he is faced with an improbable occurrence. An occurrence the U.S. has never faced before. In The Search for Justice, Alex and a specialized team of FBI, U.S. Navy Seals, and members of his own family embark on a series of adventures to restore normalcy to the U.S. after a secretive cabal has seized power. The final installment, The Sedna/Kern Incident sets the stage to witness Alex, his people, and desperate individuals from around the world scramble to prepare for what could be the end of the world. HOW DO YOU WIN A FREE COPY OF THESE BOOKS? To enter the contest, simply leave a comment or question on the Writers' Lens blog between now (May 14) and midnight May 19, 2012. Please include your email so we can reach you if you win. The more comments you leave, the greater your chance of winning the contest. If you refer others to The Writer's Lens who mention your name in their comments, I'll enter your name again in our random number generator along with theirs, also increasing your chances at winning! The winner will be chosen after midnight on Saturday, May 19, and the announcement made on Sunday, May 20. Good luck and comment often. Born and raised in Texas, I moved to St. Louis as a freshman in high school. I graduated from UMSL with a B.S. degree in accounting & finance. I spent thirty-five years in banking and retired in 2001 at the age of 53. I am married and living in O’Fallon. My writing career dates back to my youth in Texas. I grew up on a farm in small town Texas and every weekend the family would go into town to buy essentials. I would ask permission of my parents to sit in on the old men on the square telling their fish stories, sometimes a story about a horse thief that got hung, or a distant relative that was an Indian fighter, and one time, a story about a Texas Ranger (not the baseball Ranger). What intrigued me the most was the way they told the story, the tone of their voice, the tilt of the head, a spit of tobacco to emphasize a point. In all my years as a businessman I wanted so bad to write stories to entertain readers the way those old men entertained me as a young boy. I decided retirement wasn’t all it was supposed to be, so now I write stories not as a vocation or a job, but as a passion that I had suppressed for too long. The Writers' Lens is about "bringing fiction into focus." What brings your writing into focus—the characters, the stories, the love of words? For me the character and the story are closely linked. A weak character can dilute a good story and vice versa. Writing fiction is not like going to a movie, where a scene change can rescue a boring or poorly written script. I see it as critical for me to maintain the reader’s attention/interest from paragraph to paragraph. As for the love of words, I view words as a tool. Edward Sapir, a semanticist was quoted as saying ‘Language is the mold of thought’, we choose words to convey our thoughts…I choose words to describe a character’s disposition, the world about, how the character interacts with the environment, and how the character reacts to other characters. My son once asked me if I liked everything I wrote the first time around. I told him no, I compare myself to an artist with a palette of colors (words) to choose from. I use words to bring color (life) to a character and the story. As a writer, I end up throwing away a lot of canvas, because the colors (words) are not conveying to the reader what I want. What inspired your latest book? It is a character from the New Earth trilogy. No, it’s not the protagonist, at one point this character is the antagonist, but by the end of the third book becomes a valuable ally. It was the transformation that took place in this character that challenged me to write the story from a different point of view. Would you share a bit about your next project? As previously mentioned it is a character study. My first draft was 192,000 words, obviously too long, but I’ve found a way to break the story without losing continuity at around 90,000 words, and proceed into a second book that chronicles the character’s final years. This is a Russian femme-fatale, extraordinarily talented, taken at age three by the Russian intelligence service, and literally manufactured into a super-agent. The conflict she has to contend with is that her training requires her to be detached, devoid of emotion, ruthless and cunning in her approach to completing her assigned missions. She wants to love and be loved, but that internal conflict is at play for the better part for the book. She marries, has children and just as she begins to enjoy life for what it has to offer, the world radically changes around her. The setting is in the early 1980’s, when she is born, and stretches out to the year 2068. It takes the reader around the globe in her various adventures. How much fact is in your fiction? I watch a lot of disaster movies, Armageddon, Deep Impact, 2012 to name a few. I can always pick out something that’s just not physically possible in these types of movies…and they’re the big budget ones at that. The ‘B’ movies are sometimes laughable when they portray current day technology that simply doesn’t exist. Let’s see, I haven’t yet answered the question…yes…a lot of my work is fact, built around a fictionalized story, time and/or place. The New Earth trilogy required a tremendous amount of research, asteroid impact speeds, angle of descent, land and seabed displacement values on impact, temperature of heat surges, comet characteristics, mapping our galaxy with known comet tracks, tsunami measurements initially, then as they approach landfall. I used Google maps to determine an escape route through the Canadian Northwest. I spoke to the Nellis AFB Public Affairs Office in Las Vegas to get air to air pilot jargon patterned. I visited every military website to determine mission imperatives, force strengths, munitions inventory, aircraft, tanks, artillery, ranks of enlisted and officers, base locations and what units were housed at that location…just to name some of the facts that I intertwined with my story. The reason I do this is because it lends more credence to the story. Writing fiction gives all of us some latitude or license, as it’s sometimes referred to, in spinning our tales. But as I mentioned above, you can look pretty silly by making some outlandish statement that has no validity to it. If the reader senses that, you’ll lose some of their buy-in to the story. Check your facts! If you could meet one of your characters, who would it be, and where would you meet them? I would meet with the female Russian agent that is the subject of my current project. I would meet her in Monte Carlo, a favorite haunt of hers. The setting is full of glamour and wealthy individuals trying to satisfy themselves with buying happiness…it’s so obvious that money doesn’t equal happiness. The character knows this, she is above it all. She is unique, dangerous, and alluring. I could never pass up the chance to meet her in person. Thanks for joining us, Rick. This is T.W. Fendley. You can also find me at www.twfendley.com and on Twitter @twfendley. Wow. An entire trilogy! I already Tweeted about the give-away. R.D., is that O'Fallon, MO or O'Fallon, IL? I'm in O'Fallon, MO. I'm running over right now to check out your website. I wish you great success with your writing "non-career."